I'll update this post with any results posted to this thread. Choppy audio after sound card autodetect. Fine after reboot. Hangs initialising V2 through OpenGL. Might be real bug. Video mode initialisation leaves interrupts disabled for too long, due to waiting for VC counter to overflow when waiting for vsync when calibrating PIT timer. Might happen on (some) real hardware? When PCem is updated do I have to reinstall all my Windows and DOS systems or there is no problem with version change? Fixed Cirrus Logic 8-bit modes in rev 1145, and NFL Blitz 2000 in rev 1146. Usually you can keep everything but it's a good idea to create a backup of your previous PCem folder and your floppy/zip/hard disc images if those are on another folder before trying a new version, this way if something goes incompatible or buggy you won't lose your job until the problem gets fixed. Making regular backups is very useful also if a machine hangs and the disc image gets corrupted, you have problems due to intallation of new programs or drivers on the emulated machines and so on. To make backups remember to close PCem first, even the Configuration Manager window, otherwise you can end with an incomplete or corrupted backup. Last edited by ruben_balea on Mon 09 Apr, 2018 4:06 pm, edited 1 time in total. - Tribes 2 (Tries to initialize the V2 through OpenGL, ends up hanging at a black screen. COULD be a real bug?). 2002 budget version (the one gamespy and hirez freely released) tested. I've reported this keyboard bug a few times... has it been solved? I guess that "flushing" all keys pressed (so the keyboard status is without any key pressed) after recovering focus will do the trick. Or maybe is a flag (like "Ctrl was pressed")? In any case, pressing again Ctrl to "unstuck" the keyboard does not work. Can't reproduce this one. Does it need a specific configuration? YS2 Special has buggy, music stops from beginning town. I think Rogue Squadron's D3D fog bug also has this artifact. Last edited by leilei on Sat 21 Apr, 2018 7:05 am, edited 2 times in total. A little late to the game (v14 was released), but just noticed this when using a dump from one of my old computers. A transition effect in the custom Windows frontend gets garbled. Not sure if worth checking because the emulated VGA is not the exact same as the real VGA, but another of my systems has a GD5434 and the transition works fine in PCem. Config: Intel Advanced/*, any Pentium, Windows 95 default drivers for everything in emulated and real systems. NBA Hangtime (Windows) runs perfectly. Same PMMX233 system above on AWE32/W95. Crashes when breaking a special block. Should to be fixed in the future revision. Which version of DXBall? 1.07,1.09 or 2? And which block? Either 1.07 or 1.09. Power-up brick. Interesting. I played DXBall 2 only in PCem so there's no problem with that version in PCem. The first "Croc" crashes when trying to initialize 3D, using any renderer including software. Award 430VX PCI, Pentium MMX 233, AWE32, S3 ViRGE DX, Voodoo2 SLI. Windows98 SE. Take note of , this seems to be an Image of an official cumulative update disk released by Microsoft in 2004, and on it is every official update for Windows 98 and Windows ME, including the non security fixes. If you are wanting a way to install all the official fixes for win9x without the unofficial bluescreen inducing frankenbuild crap, then this is what you are looking for. The other ISO's have updates for WIndows95 but they are a loose collection. 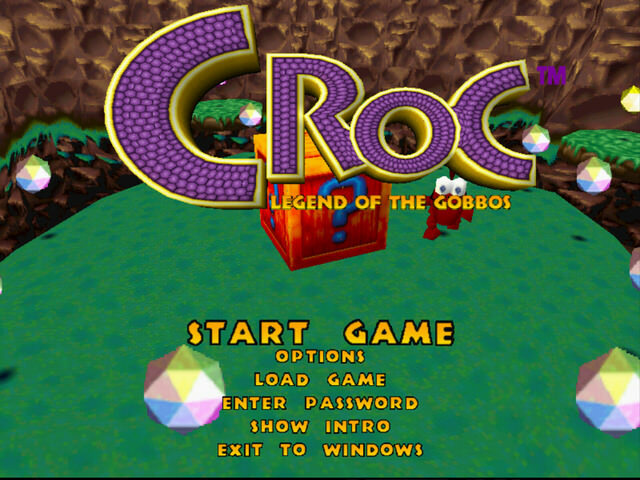 Anyway, after running the installer contained on  within Windows 98 SE, Croc now works! I wonder what else having these fixes? Please do NOT link to copyrighted material. I can't believe I have to keep saying this! I thought that would have been allowed as it is purely a iso image containing updates once freely downloadable by anyone from the windows update website before they got removed after support was dropped. It's not the whole OS.